It’s been almost two months after the release of Avengers Infinity War for which the whole world waited as it was the biggest crossover event in the history of movies. The movie came and took us on an exceptional journey which we have never imagined. We all laughed, cheered our heroes but in the end; we were left all emotional and teary-eyed after witnessing the death of our heroes. Infinity War made it clear from the very beginning that stakes are much high this time by killing Loki(Tom Hiddleston) one of the most loved characters and powerful villain in the MCU. Thanos then continues turning many of our heroes into dust and erasing their entire existence from the face of the universe. However, we still have hopes that our heroes will return from the dead to once again take on Thanos. In the midst of all this, it looks like one of these characters will not be returning from dead. During a recent event, Tom Hiddleston confirmed that he is content with how Loki’s path came to an end in Avengers Infinity War. 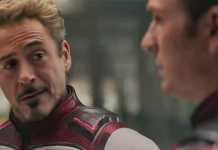 It’s very emotional to learn that the character which gave trouble to Avengers in the first movie and made us laugh with his funny antics will not be there for the rest of the journey. Actor Tom Hiddleston revealed this during the ongoing Ace Comic Con in Seattle where other Marvel stars descended to have an interaction with the fans. In his own Q&A session, Tom addressed that he has known the fate of Loki in Avengers Infinity War from past two years and has somehow come to terms with that. Tom Hiddleston said that “So, I’ve known about that scene for two years. I met with Marvel in May 2016, and they were telling me the story of Ragnarok with concept art and images. The Russos came in, and I introduced myself. 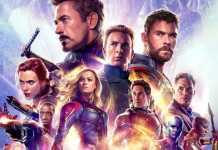 So, all four of us sat down, and they said this is how Infinity War begins,” He further explained that how his knowledge of characters journey coming to an end has affected his performance in the Thor: Ragnarok. That is why we saw the change in the character of Loki and by the end of the movie he has accepted Thor as his brother again. There are various scenes throughout the film that depict the development of bond between the two and how Loki is emotional regarding the death of his father and his brother setting him free. The particular scene where Odin addresses both of them as his sons, you can see remorse in Loki’s eyes that how he has done so much wrong. And in another scene where Thor & Loki are in the lift, we see an emotional side of Loki where he doesn’t want to let Thor go. After going through this bittersweet explanation, it makes us all emotional and shows us that how strong of a bond we have developed with each character. We can’t even imagine how we will feel when Captain America or Iron Man says his final goodbye. However, we will still get the final glimpse of Loki in Avengers 4 as per the set photos which have emerged along with the film’s plot making use of Time Travel. We just hope that Marvel makes it the most memorable moment in the Loki’s journey to this point. What are your views on the end of Loki’s journey in Avengers Infinity War? Do let us know in the comments below.